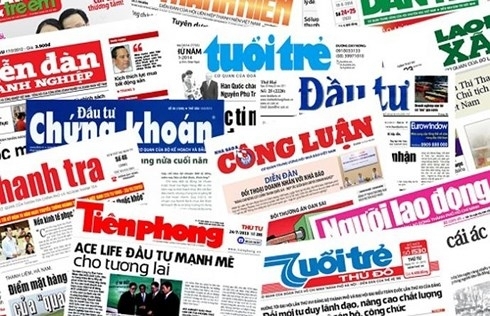 Accordingly, Nhan Dan (People) Newspaper is determined to be one of the six major multimedia media agencies of the national press system, along with Vietnam News Agency, the Voice of Vietnam, and the Vietnam Television, People's Army Newspaper and People's Public Security Newspaper. The approved development and management planning also aims to build a number of key multi-media press agencies, which will play a role in guiding public opinion and foreign information. At the same time, it also aims to arrange the press system, overcome overlapping and spreading investment, loose management, as well as operating far away from the principles and objectives. The planning is expected to build a contingent of qualified and capable managers, reporters and editors to meet the press development requirements in the new situation. The planning will also identify press development in line with the trend of developing science, technology, information and world communication. The planning also stated that the State has mechanisms, policies on finance, training, creating necessary conditions for the press to serve political tasks and communicate, and encouraging press agencies to strengthen mobilisation of resources to develop but ensure the right principles and objectives. In addition, the planning also provides orientation and arrangement plan as well as a roadmap for the types of press (printed newspapers, magazines, radio, television, newspapers and electronic magazines) applied nationwide.